Employers cannot discriminate against employees that are pregnant or will become pregnant. Discrimination occurs when an employer treats an employee differently or bases actions against an employee who is a part of a protected group of persons — in this case, pregnant women are a protected class of people who cannot be discriminated against solely because they are pregnant. For example, if a pregnant employee is up for a promotion and is very clearly the most qualified for that promotion but does not get it because the employer believes that the pregnancy will interfere in some way with the business, that employee has been discriminated against and has the grounds to file a discrimination lawsuit against her employer. If you want to file a charge of pregnancy discrimination at the EEOC, you can do so at the office that is closest to your place of residence, or at any of the 53 field offices that exist. It should be noted that the office closest to your employer’s corporate headquarters occurred may investigate your charge against the company. How long you have to officially submit the file depends on where the discrimination took place. There is typically a 180 calendar-day deadline from the discrimination, but it is extended to 300 calendar days if the state in which it occurred has a state or local ordinance which prohibits pregnancy discrimination (or other forms of discrimination) in the workplace. In the state of California, the amount of time you have to file an EEOC complaint against your employer is extended to 300 days. Many U.S. states and localities have agencies and laws in place which prohibit discrimination, including pregnancy discrimination. These state and local agencies are referred to by the EEOC as Fair Employment Practices Agencies, or FEPAs. The EEOC and some FEPAs have work-sharing agreement in order to avoid any duplication of the charge process. What does this mean? This means that if you file a charge with either agency, a duplicate charge will automatically be filed with the other agency. Every EEOC office has its own policy for those who wish to file in person, for both appointments or walk-ins. Please make sure to check the rules for the office which is closest to you before you make your visit. You should bring with you any information, papers, documents, et cetera, that will help the EEOC understand your case and give them a sense of whether or not you have a strong case. For example, if you requested pregnancy leave in order to deal with whatever needed to be medically taken care of, regarding your pregnancy, and were terminated shortly after, you may want to bring the notice saying you were terminated and the request for your pregnancy leave. It is within your right to bring whoever you want to your meeting with the EEOC. You can bring your lawyer to help you navigate the intricacies of the laws of which you might not be aware or fully versed. If you need special assistance throughout the meeting, like an interpreter/translator for a foreign language or sign language, let the EEOC know before the meeting so they can arrange all the necessities. The EEOC does not perform charges over the phone, but that doesn’t mean you can’t get the process started. You can call (800) 669-4000 to relay basic information about your charge — they will then forward that information to your nearest EEOC office. Once they receive this information, they will get in contact with you about the possible next steps. Your signature! 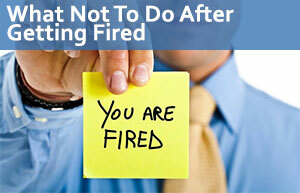 If you don’t sign your letter, the EEOC cannot investigate your claim. EEOC has an online program that is accessible for individuals that live within 100 miles of their Charlotte, Chicago, New Orleans, Phoenix, or Seattle. If you have any employment law or labor law related questions or if you would like our attorneys to review your case, please contact us for a free consultation.